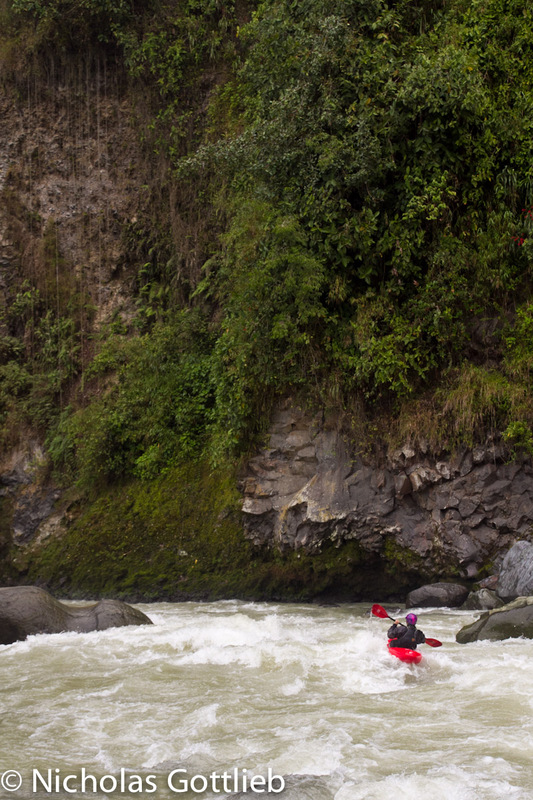 If you ever want to save money by going on a paddling vacation, Ecuador is the place to go. Fly to Quito, take a $3.25 bus to Baeza, get off the bus, walk 50 feet up a hill and check in at either Rodrigo’s or Gina’s (neighboring kayaker-friendly hostels) for $6-10/night, and then call a cab to take you to any of the ten or more great sections in the Quijos valley for somewhere from $2-5 round trip (including pickup at the takeout). It’s that simple. 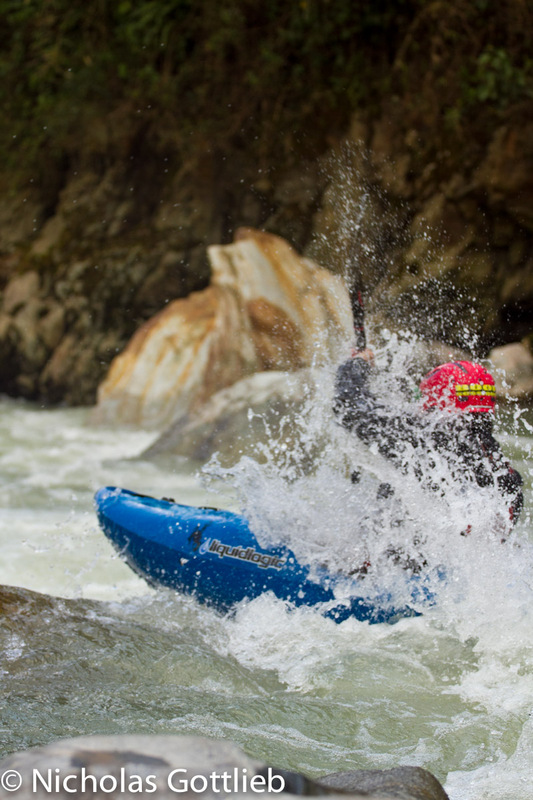 And if you don’t want to bring a kayak, Rodrigo or Abe (http://www.ecuadorpaddling.com/) can help you out. Coming from Chile, I was amazed. 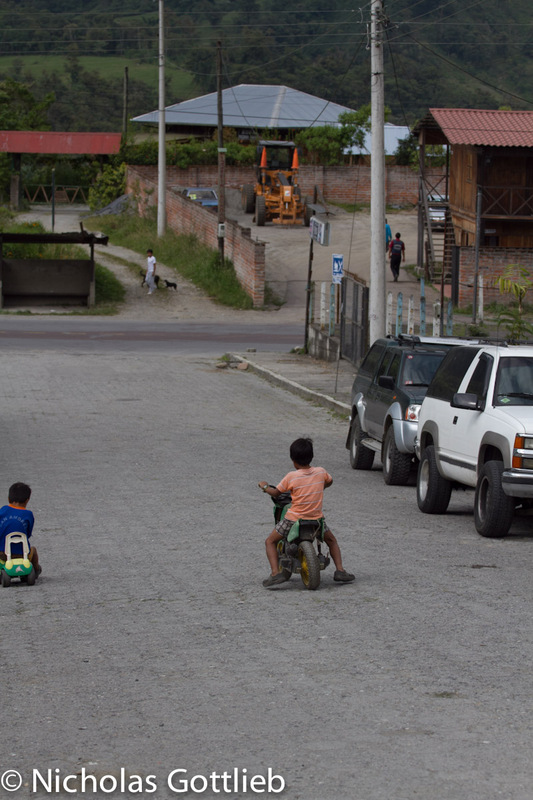 No crazy bureaucracy, terrible roads, long drives or frustrating river levels. Instead, you stay at Gina’s, walk downstairs for breakfast ($2.50), decide where to go kayaking, and then go. If it’s someone’s birthday, Rodrigo will slaughter a calf and host a barbecue for you. Tyler ‘Lobo’ on the second rapid of Cheesehouse, an awesome watery boof over a ledgehole. Christian Polar boofing the bottom hole of Piggly Wiggly, the last major rapid on Cheesehouse. 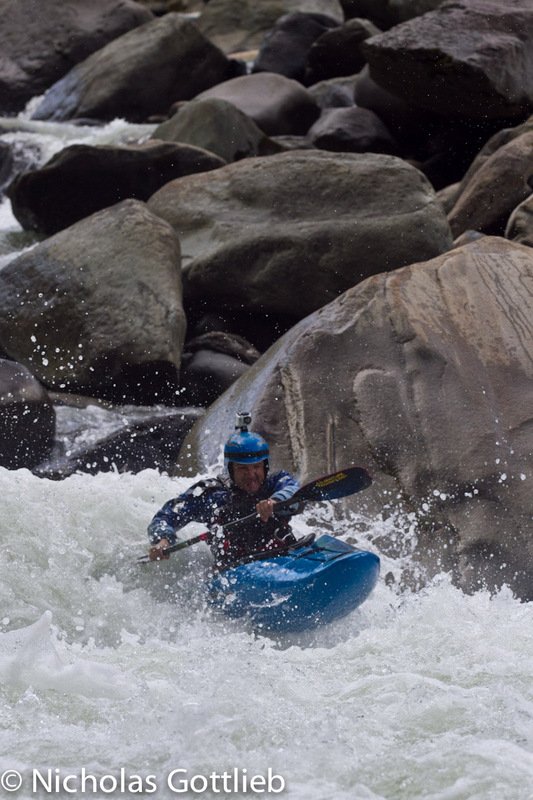 When Cheesebridge gets boring, the cab drivers can drive you a bit further downstream on the Quijos to run some bigger volume sections with amazing scenery and fun rapids. 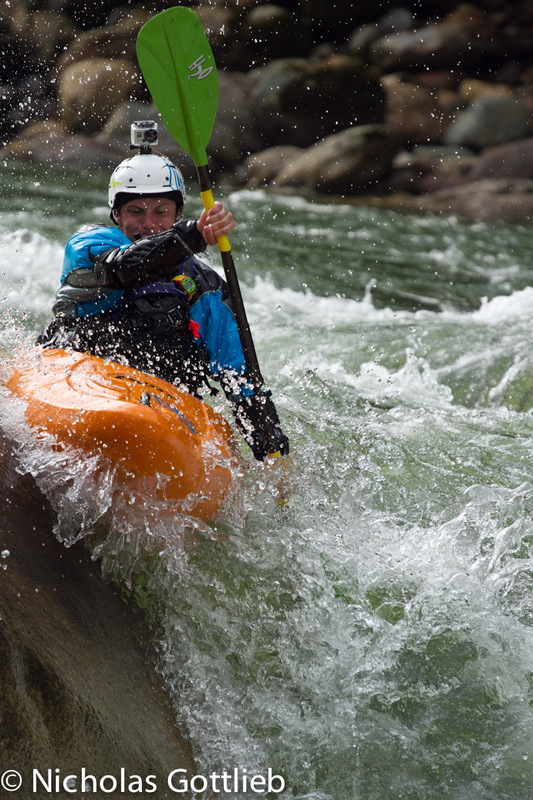 Daphnee Tuzlak coming through the bottom of El Toro, the biggest rapid on El Chaco Canyon. Some days, it’s hard to motivate to go kayaking before 2pm, so you sit there and make bets on which of these kids wins the race to the bottom of the hill. My money’s on this guy. The Oyocachi is a tributary of the Quijos about 30 minutes from Baeza that features 9 miles of incredibly clean boulder garden class IV in a beautiful canyon. It’s pretty much all boat-scoutable, though it may not look it from above, and it’s all really fun. 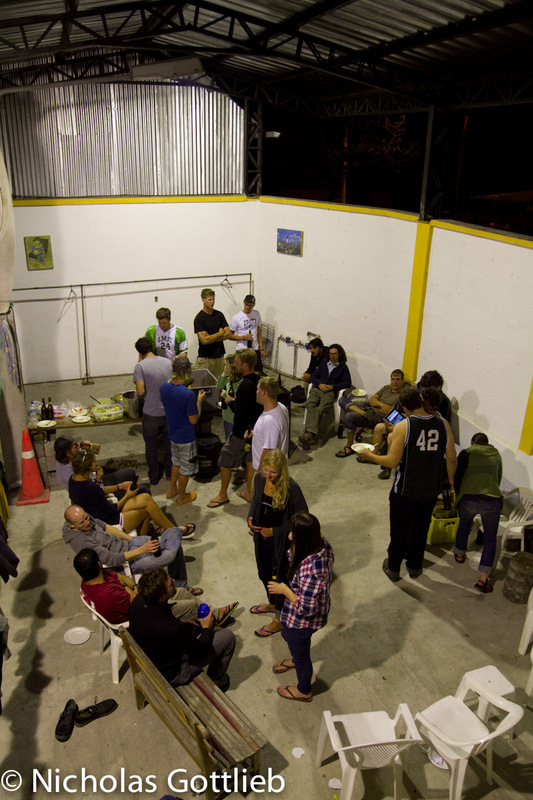 Justin Crannell shows us his gnar face on the last boof before the Oyocachi joins the Quijos. Christian Polar hits the elusive boof towards the top of the Oyocachi. 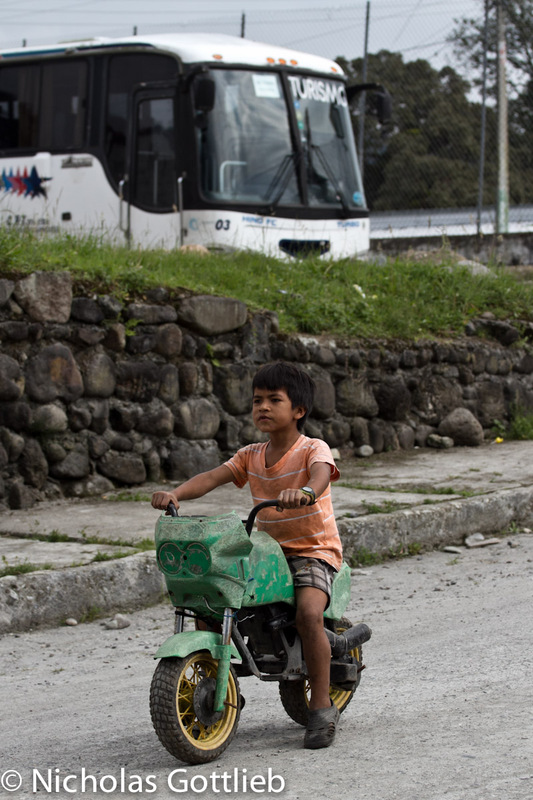 Note the patches on the bottom of his boat — unbroken kayaks are hard to come by in Ecuador. If water levels are up, it’s nice to escape the Baeza siphon by driving two hours over a pass down to jungly Tena. 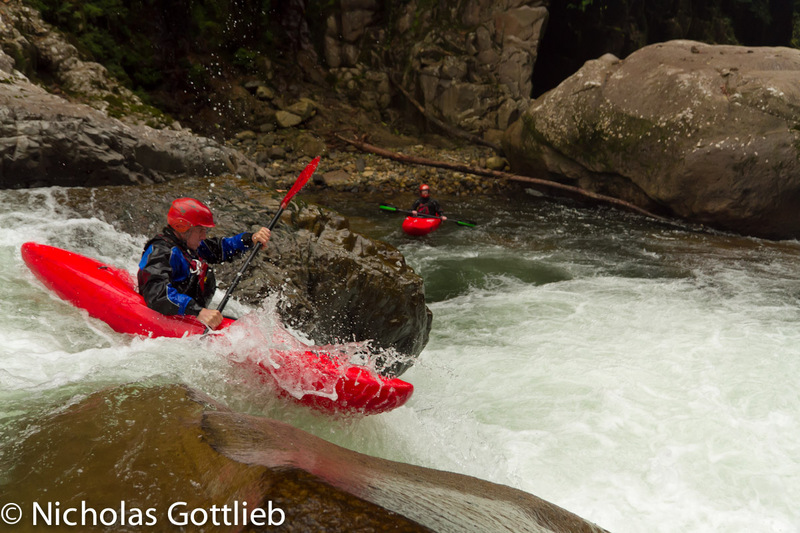 Personally, I hate jungle, and hot weather, and spiders, and whatever else they have there, but the paddling is worth it. Water levels didn’t really cooperate for us, so we decided to do an overnighter on a beautiful mostly class III river outside Tena called the Hollin. In preparation, we bought one roast chicken to-go from Pollo sin Rival and packed it in a drybag. Best self-support ever. Truly, their pollo is without rival. 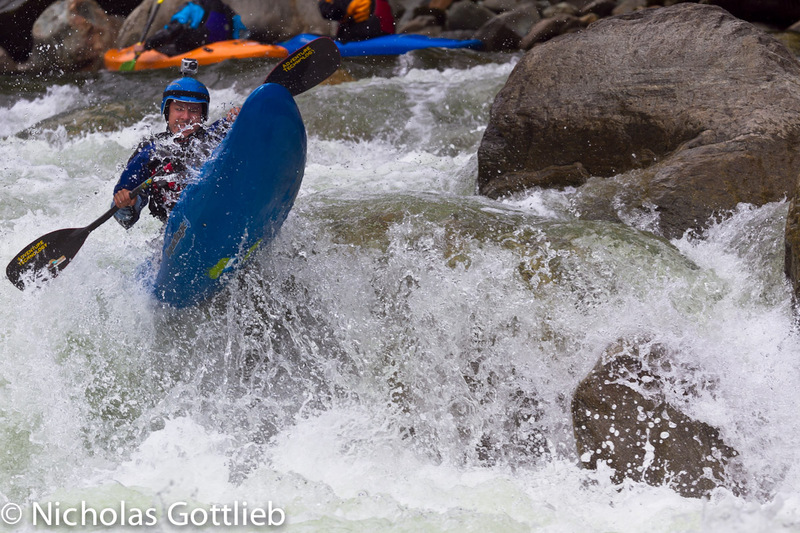 Jon Wiedie on the last piece of the one larger rapid on the run. Jungle camping isn’t so bad. 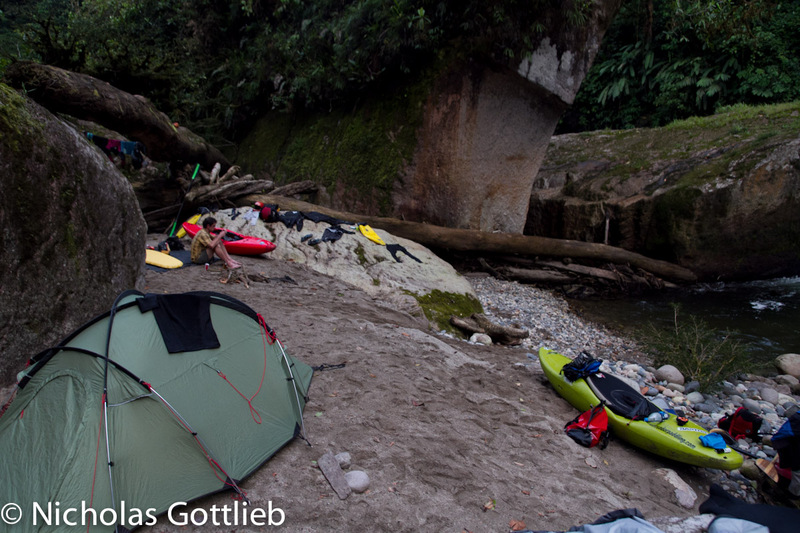 Sorry, not much content to this post, but in all seriousness, Ecuador is the most logistically simple place I have ever kayaked, including most of North America. Feel free to contact me if you want more info about making a trip there. 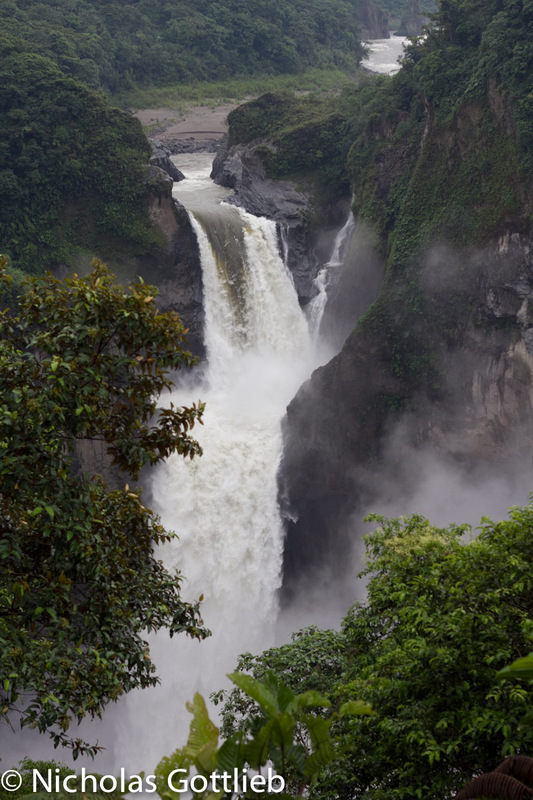 Ecuador has everything, even big waterfalls.